21/03/2019New show México !at the Arena CDMXWe are happy to announce our return to México! 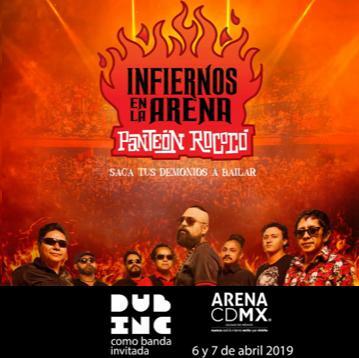 Panteon Rococo invite us on April 6 and 7, 2019 at the Arena of México ... 2 concerts already complete with more than 18 000 people each night! 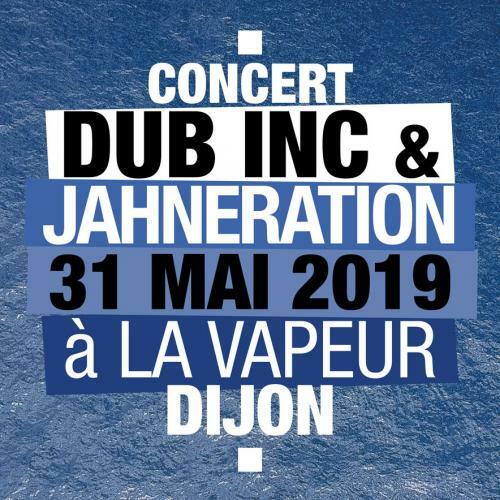 May 31st will once again be the opportunity to meet and support SOS MÉDITERRANÉE with a great show with Jahneration in la Vapeur in Dijon! All the benefits of the evening will be donated to the organization thanks to partnerships with La Vapeur, AGDL Production and the No Logo Festival. 22/02/2019À TRAVERS LES VAGUESAvailable today! 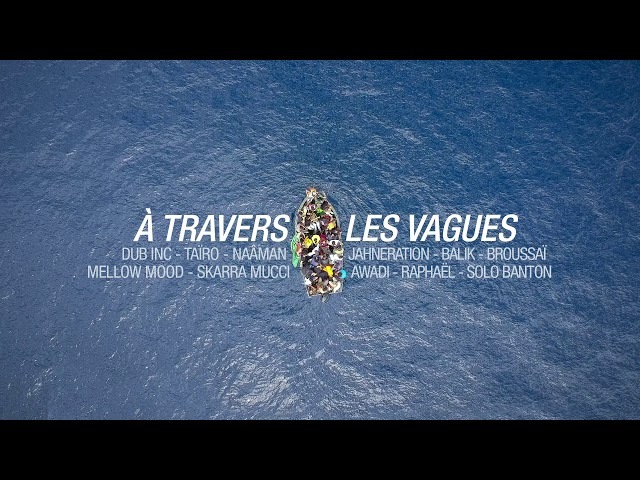 À Travers les Vagues, a collective piece in favor of SOS MÉDITERRANÉE is available today, on all the streaming and download platforms... Enjoy and SHARE! 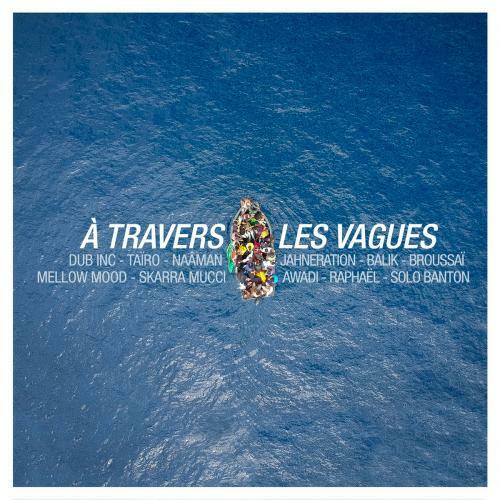 15/02/2019A Travers les VaguesOut February 22nd!With Dub Inc - Taïro - Naâman - Jahneration - Balik - Broussaï - Mellow Mood - Skarra Mucci - Didier Awadi - Raphael - Solo Banton! A collective piece, which federates and awakens a little consciousness, it had been long since we wanted. We will release a new piece for the benefit of SOS Méditerranée and its actions to help survivors at sea, on February 22nd! 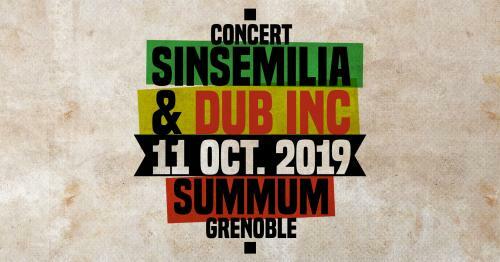 We're happy to announce a new show with our friends of Sinsemilia at their home, Grenoble! Let's meet on October 11th, 2019 at the Summum. 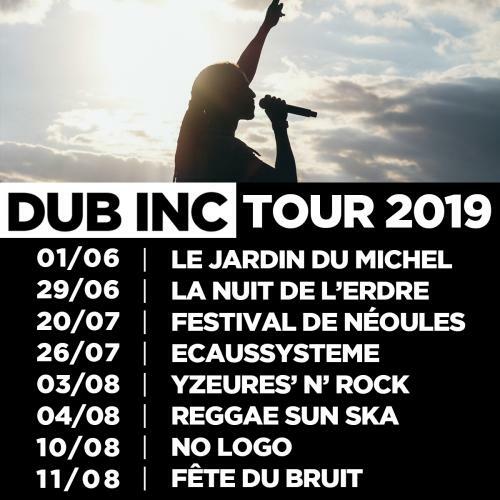 15/01/2019Additional show in St Etienne! 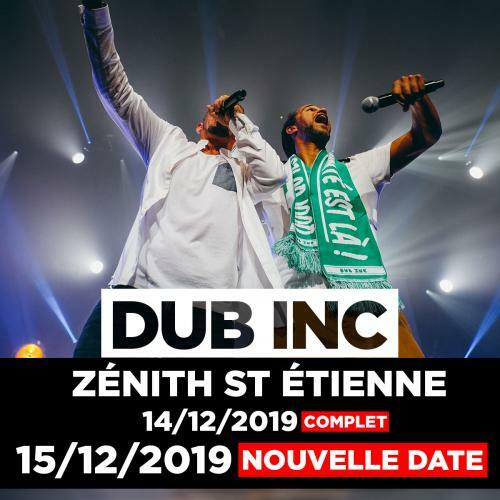 !The first Zenith is already sold outThe Zenith of Saturday, December 14th, 2019 has been filled in 5 weeks... incredible, THANK YOU SO MUCH!!! So we continue with an extra date the next day, Sunday, December 15th, 2019! Enjoy the winter sales on our shop, available until February 19th! 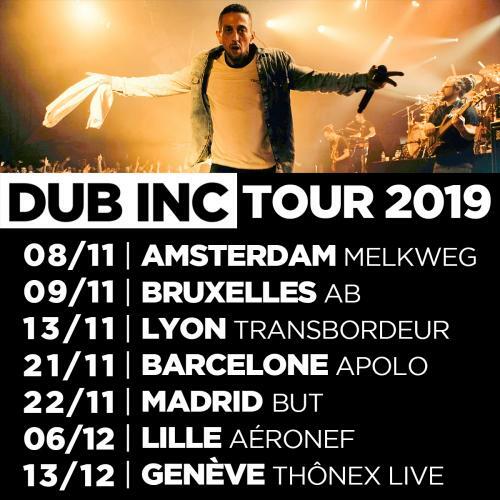 18/12/2018Summer Tour 2019The first summer shows! We're glad to announce the first names of festivals where you will be able to catch us this upcoming summer! We offer you a few dates next fall, before the Zenith of Paris and Saint-Etienne... New show / new album, we can not wait to be there! 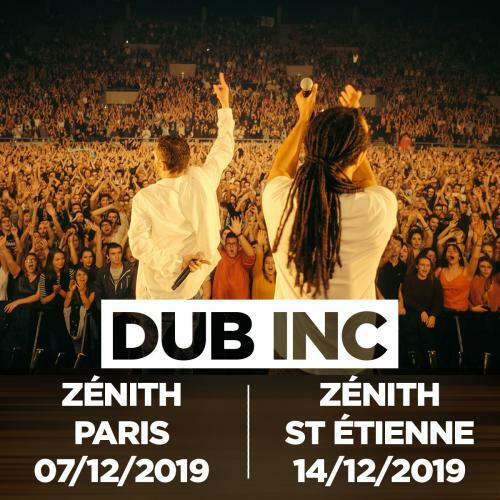 - on December 14th 2019 at the Zénith of Saint-Étienne.